Concision (saying as much as possible using as few words as possible) is always important in writing style because if you don’t waffle, you give the reader maximum value. This rule applies in fiction-writing and promotional communication alike. Especially the latter, because while a reader might sit down to read a book leisurely, publishers are busy people who receive many pitches. 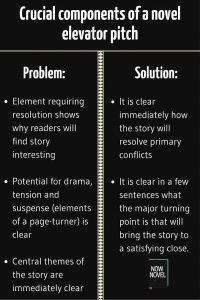 Indicate stakes and sources of tension (Give a sense of how your book will grip readers, even if it’s a romance novel and not a thriller – sell what makes your characters’ relationship compelling. Is there an obstacle to their being together? Reference this obstacle clearly in your pitch). The simple truth is that publishers are working in a world where it is increasingly challenging to earn good money without herculean effort. So reduce the amount of joining the dots publishers have to do because it will make your pitch more appealing. 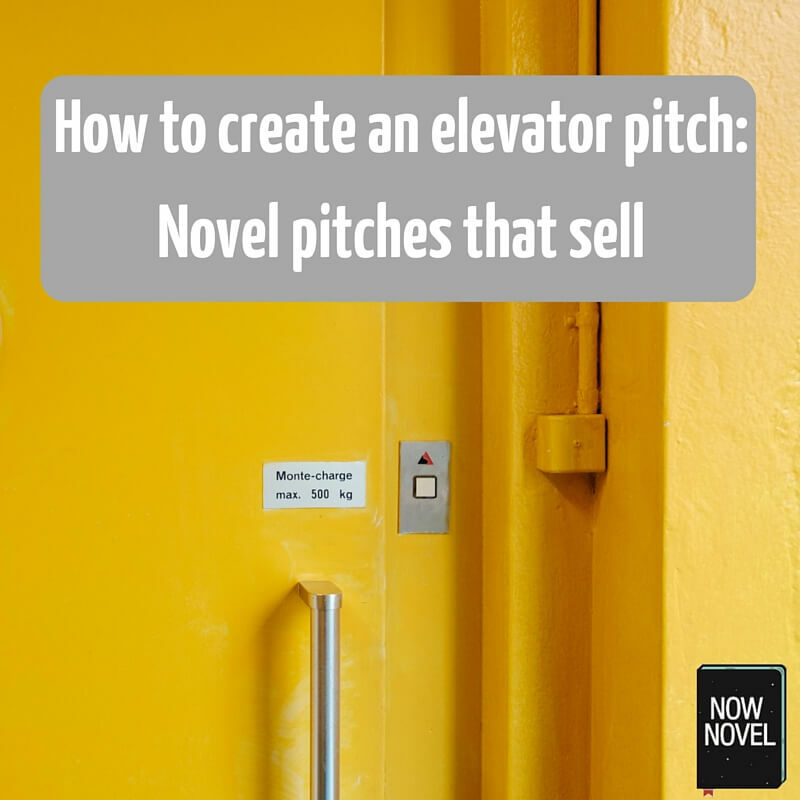 Make your elevator pitch identify your target audience or market (and why your story in particular will appeal to it) in as few words as possible. It’s advisable to keep your story summary separate from details on your target market because this lets the pitch recipient digest your central idea without other distraction. It’s a good idea to simply put ‘Target Audience’ as one of the subheadings beneath your headings identifying word count and genre. Including this shows the editor or small publisher that you have thought consciously about where your book will fit in the crowded market. Mention approximate reading age group and interest categories (e.g. readers of literary romance who enjoy [x established authors]). 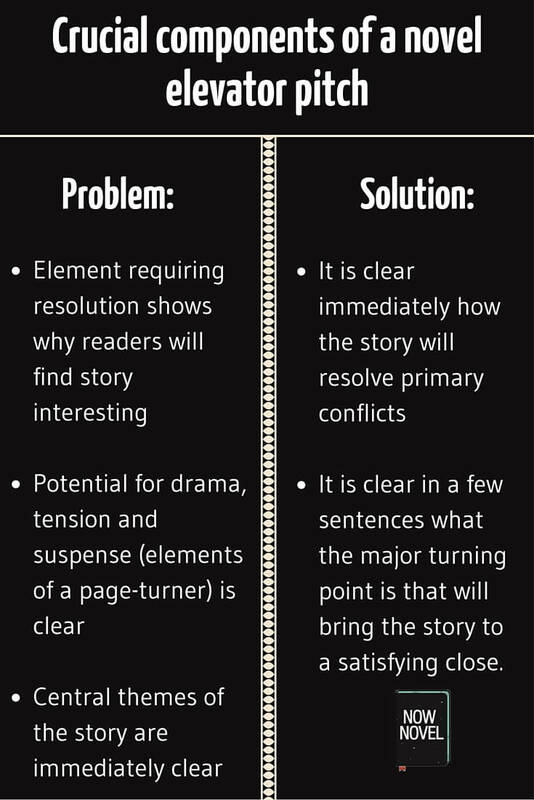 If you have truly distilled what makes your unique story fantastic and worthy of publication, you should be able to reduce your pitch to a single sentence. This is the kind of information that will be placed on a dustjacket. They promise intrigue (the detective’s cousin is accused of murder, Frankie Presto is a genius and his story promises to be ‘mystical’). 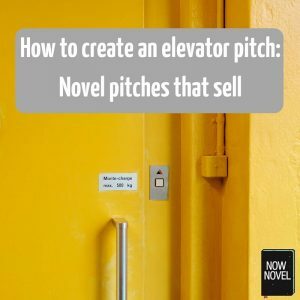 The above are all important elements of an elevator pitch novel authors can use to gain notice. If you haven’t started writing a novel yet, though, or are stuck in any way, try the helpful Now Novel process becuase it will help you start and finish telling your story.